A Northside business is the latest entrant into the 'twilight market' space, giving visitors a chance to fill their Friday night with funky finds. VEND is a permanent market place hosting stalls from nearly 100 artists and designers. Open seven days a week from 8am - 4pm, VEND sells everything from original art to vintage furniture, and everything in between. 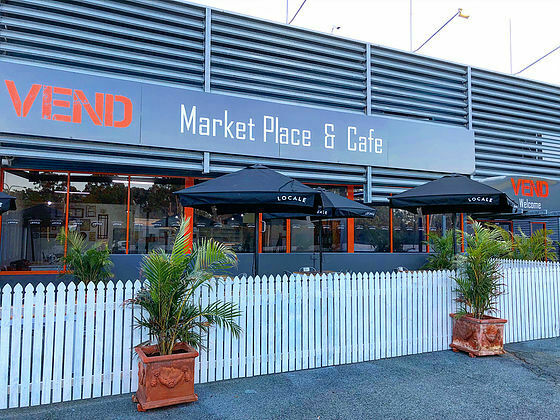 As well as the market, VEND also offers a cafe, greenhouse, function spaces, and workshop series. And now, a twilight market. VEND is staying up late on a Friday, offering wage slaves and weekend workers a chance to sample their wares at a more convenient time. VEND stays open until 9pm for Friday Festivities, a weekly, family friendly event. Visitors can view the collection of permanent stalls inside, browse the pop-up stalls out on the lawn, or peruse the greenhouse. Afterwards, find yourself a spot on the fairy-lit lawn and relax with live music and some refreshments. VEND café, offering burgers, salads, and an all-day breakfast menu, will be open all night and there will also be a selection of food trucks offering everything from tacos to churros. Wash it all down with something from the pop-up bar. If you're a creator with a product that sounds VENDy, you can apply for a stall here. Thanks for letting me know about this new market.